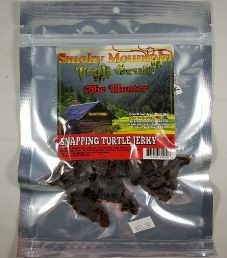 The next review for Smoky Mountain Trail Grub will be on a 1.75 ounce/49 gram bag of their teriyaki flavored snapping turtle jerky. 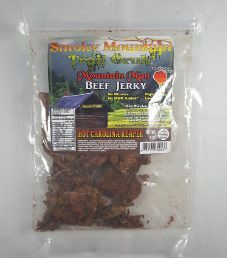 Their jerky is described as from an old fashioned smoky mountain smoke house in the valley of smoky’s. This bag was kindly submitted for review by the owner, Lawrence Wittmer. 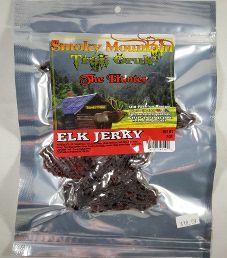 The next review for Smoky Mountain Trail Grub will be on a 2 ounce/56 gram bag of their teriyaki flavored elk jerky. 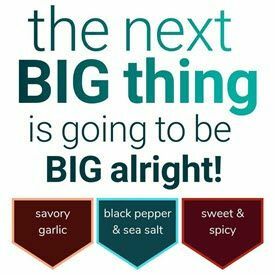 Their jerky is described as from an old fashioned smoky mountain smoke house in the valley of smoky’s. This bag was kindly submitted for review by the owner, Lawrence Wittmer. 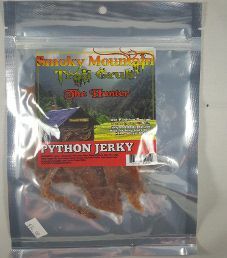 The next review for Smoky Mountain Trail Grub will be on a 1.5 ounce/42 gram bag of their teriyaki flavored python jerky. 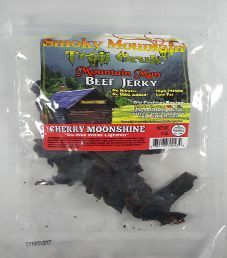 Their jerky is described as from an old fashioned smoky mountain smoke house in the valley of smoky’s. This bag was graciously submitted for review by the owner, Lawrence Wittmer.